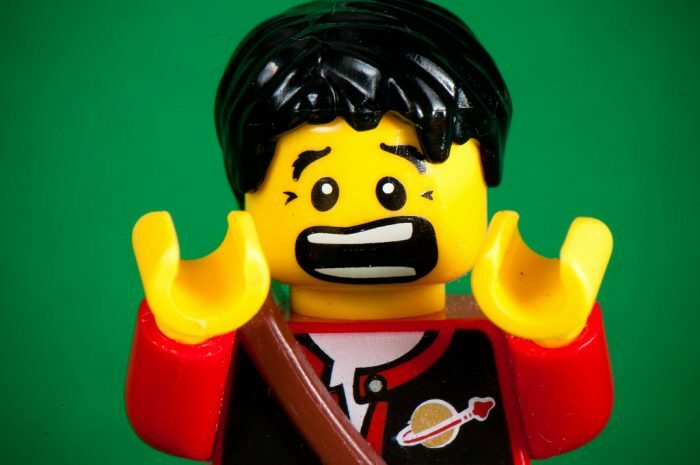 We frequently get support requests along the lines of “I can’t remember my password. Can you please help me?”. The short answer to this is no. We usually provide a more detailed answer, explaining the reasons behind it and referring to the “Password reminder” function which allows any logged-in user to store a password hint. 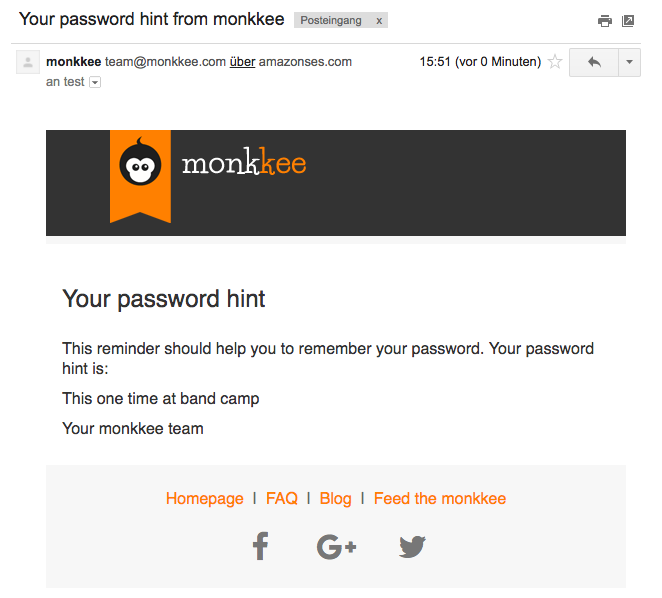 When creating a monkkee account, users are made aware of the fact that monkkee can neither reset nor recover lost passwords. This is explained on our homepage, in the FAQ section and on the registration page. Since we know that reading the small print can be tedious, we have now added a second checkbox on the registration page. Apart from acknowledging our general terms, users must also confirm that they have read and understood our password policy. We hope that this will make things a bit clearer. And now in detail: Why is it not possible to reset your monkkee password? At monkkee, the password has two purposes: On the one hand, it protects the access to the platform. Only with the correct password is a login possible. This is the principle most Internet applications apply. But at monkkee, the password has a second function. It is also used to encrypt all your data including texts, images and tags before they are saved, and to decrypt them again for reading. And this is where the problem lies. If we allowed a password reset, your encrypted data would be lost forever, as it wouldn’t be possible to decrypt them with the new password. We also can not tell you what your current password is, since we don’t store your password directly but rather a cryptographic hash. Same as with your journal entries, you are the only person to know your password. This provides you with the safest online diary in the world, but it also comes with a certain responsibility. If you are not sure whether you can remember your password, we recommend that you set up a password hint. 4. With a corresponding password hint, there is a good chance you will remember your password. I for one am very happy about the password security in this journal. I feel very at ease with my privacy. Thank you. I really like this site. It allows me to securely put down my thoughts without fear of anyone having access to them. I write in my journal often. Thank you for making this. It is definitely helpful. In the past I had problems with my other accounts because my brother would usually write my email and will click the FORGOT PASSWORD button and he would easily get into my account. The security of this site is very helpful for me to keep my thoughts and feeling safe.